Depaving will prevent stormwater from running off your property and into the City’s sewer system. We recommend follow-up treatments such as stone, mulch, grass or other landscaping. Check out this Depaving Factsheet in English or Spanish for more information. Project options: Rain Check contractors will remove your concrete or asphalt. You can do a lot with a space after depaving. 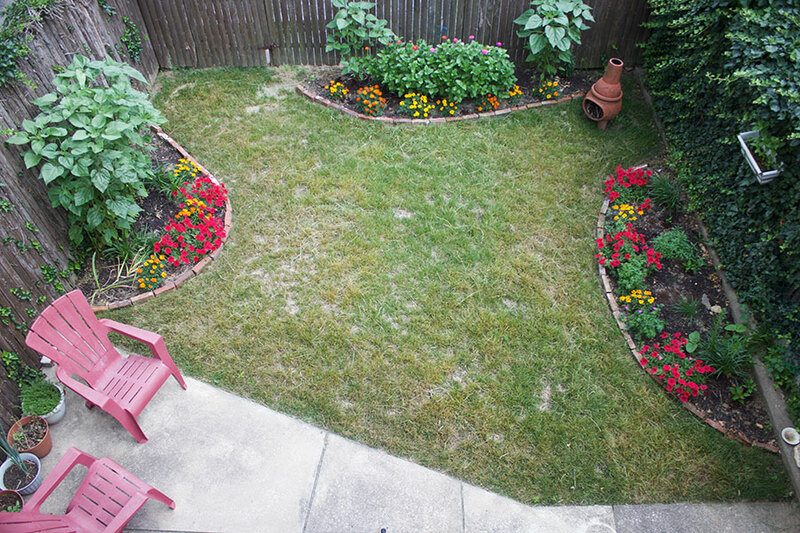 Consider landscaping, a rain garden, a lawn, permeable hardscape, and more. Before the project: Before depaving, the contractor will call the PA One Call (“Call Before You Dig”) hotline. This will ensure that no underground utilities will be disturbed during the project. Rain Check will not depave sidewalks or any other area that lies in the public right-of-way. Prior to depaving, we will inspect your basement for existing signs of moisture. If the depaved area directly abuts your home, an impervious liner will be installed against your exterior foundation wall, preventing the possibility of water getting into your basement. Safe soil: When you remove concrete or asphalt that has been in place for a long time, it exposes the soil underneath. We recommend a follow-up treatment, but if you choose to leave the soil bare, be sure you know your soil is safe. In addition, urban soils should be tested for lead and other potential contaminants before being used for growing edible plants. Read the Lead in Soil Factsheet in English or Spanish for more information. Proper maintenance depends on the follow up treatment you choose. Be sure to water frequently when the plants are first put in the ground. Afterwards, look for signs that your garden is dry and water as needed. Weed and prune landscaped areas as you would any garden. Replace mulch if it washes away. When using salt to melt ice on sidewalks or driveways, use it sparingly and avoid scattering it in areas where it can damage nearby plant material.